Twenty world leaders meet for the G8 Summit at the beautiful Cheyenne Resort in Colorado Springs. 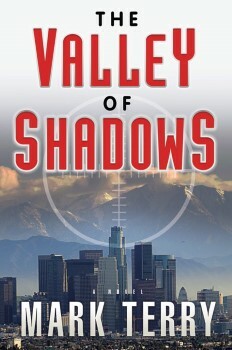 But an ugly plot lurks beneath the surface: a terrorist group, The Fallen Angels, plans to wreak havoc on the Summit.With the Secret Service, the FBI, Homeland Security, the military, and security from twenty different governments on-hand, shouldn’t the resort be the safest place in the world? It seems impossible that a terrorist group could infiltrate the Summit. And yet they do. Within minutes, twenty world leaders are taken hostage, and Richard Coffee, the group’s leader, makes his first demand: release twenty detainees from Guantanamo Bay, or he’ll execute one leader each hour until his demands are met. Only one man can disrupt this plot. Derek Stillwater is that man. Working undercover as a maintenance man at the resort, Stillwater will wage war on the world’s deadliest, most sophisticated terrorist organization, picking off the terrorists one by one until he comes face-to-face with an evil force from his past, Richard Coffee, The Fallen Angel himself. Tougher than Jason Bourne and smarter than Jack Ryan, Derek Stillwater is a hero for troubled times. In The Fallenhe needs all his toughness and all his smarts to battle terrorists who take over the G8 summit and threaten to kill a score of world leaders. Slam-bang action from start to finish. A winner! Terry writes like Lee Child on steroids, showcasing a likable hero facing incredible odds. Readers! Hold onto your hats. When you open Mark Terry’s latest thriller, the very first page will launch you on a journey that will have you reaching to turn each page more quickly than it can be read. Wow! Mark Terry writes exciting, page-turning suspense that will remind readers of Jeffrey Deaver, since both excel at plots that deal with a ticking clock. 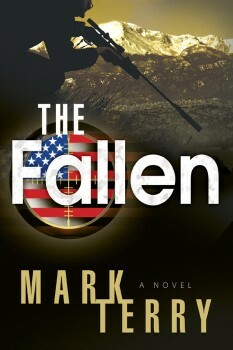 Terry’s third Derek Stillwater novel The Fallen is his best yet.